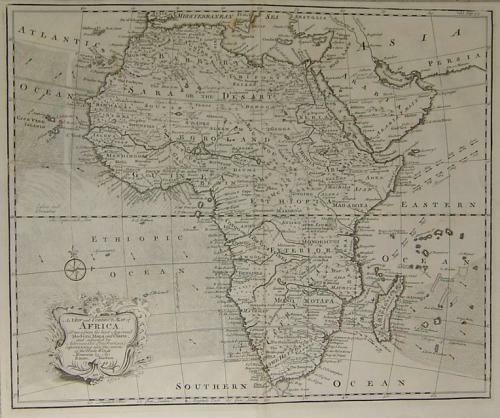 Title: 'A New and Correct Map of Africa'. An attractive map showing the full expanse of Africa. Title vignette and compass rose.